In 2004 ten pasta producers from Gragnano, in Campania, applied for the IGP “Gragnano pasta” certification (protected geographical indication) – first initiative ever of this kind in Italy – to safeguard the century old Gragnano know-how from imitations and reward Gragnano pasta’s notoriety and legendary reputation of excellence: for more than 500 years Gragnano has encapsulated the very essence of pasta making tradition. The town’s favorable location between the sea and the mountains and the quality of its spring waters, allowed it to become the pasta “district” of the world. In order to grant IGP certifications, the designated authorities must conduct lengthy, in depth analysis of the productions, including repeated visits to the establishments to ensure compliance with all requirements. 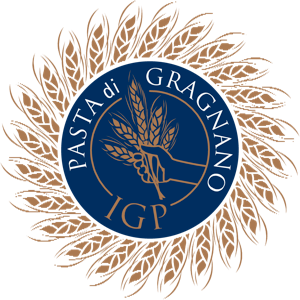 In 2012, the designated Italian authorities have completed all investigations and finally granted Gragnano pasta IGP status. Of course, our producer Faella is among one of the ten original producers and can now boast the official IGP stamp! Faella pasta meets all the requirements – have you had a chance to taste it yet? 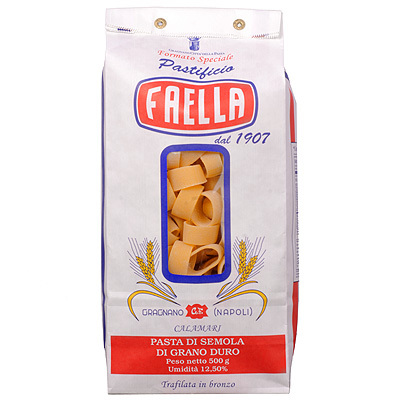 It may be hard to believe, but once you’ve tasted Pasta Faella, it’s not possible to go back to ordinary (even other imported) pasta. The texture, and the taste – delizioso! I’ve eaten many different kinds in my life, even my late mother-in-law’s homemade years ago, and for me no other commercial pasta is comparable! U.B.